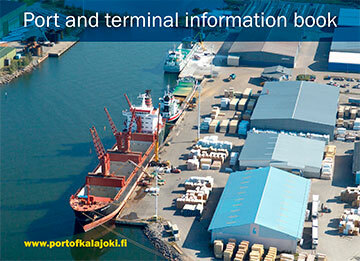 The Port of Kalajoki is an independent and free trade port which deals with its customers equally. By using the Port of Kalajoki any company can export even small amounts of goods for global markets with reasonable pricing. This is achieved when one load is collected from several companies shipments.  In this case, if the client requests, the export goods can be collected straight from the saw-mill or factory by using the port operators own up-to-date transportation equipment. The port operators for the Port of Kalajoki are Oy Blomberg Stevedoring Ab and Rahjan Huolinta – forwarding company. The overall traffic of the Port of Kalajoki is approximately 500,000 tonnes and there are about 150 vessels visiting the port annually. 70 percent of the traffic from the Port of Kalajoki is export. Sawn timber is the main export product of the port and every year 500,000 m3 is shipped from Kalajoki. Along with the ports’ specialisation in sawn timber products also the professional wood processing industry has been advancing in Kalajoki. The port has 60 saw mill companies as its clients and 10 – 20 other industrial companies from Northern-, Eastern- and Mid Finland. Sawn timber products are mainly exported to England, Spain and Mediterranean countries. In addition to sawn timber products plywood, steel components, scrap iron, milled white peat, grain and wood pellets are exported. Exports make up 30 percent of the overall traffic. For example, raw minerals used in the pulp- and paper industry, slag, tile industry minerals and different types of botanical material used in the feed industry are imported through the Port of Kalajoki. The importing of bulk goods has been made easier: port warehouses have been built for the purpose and there is a truck scale that can weigh full-trailer combinations. The Port of Kalajoki is currently employing 80 people of which 55 are working for Rahjan Huolinta -forwarding company. In addition the Port of Kalajoki indirectly employs a number of people working for transportation- and maintenance services. This way the indirect employment effect is remarkable. The capacity of the Port of Kalajoki could hold significantly larger deliveries, than it does at the moment, so we are welcoming new clients to get to know the competitive options the Port of Kalajoki has to offer.